There is this great movie about hobos and their struggle for survival against the murderous intentions of a train conductor in the 1930's titled Emperor of the North Pole. It was directed by Robert Aldrich and stars Lee Marvin and Keith Carradine as two hobos and Ernest Borgnine as the freight train conductor. I strongly recommend it to you. In one wordless scene, A-#1, Marvin's character, is teaching Cigarette, Carradine's character, to catch a fast train by greasing the rails. They have already brought buckets of grease up from the dump, and leading by example, A-#1 starts greasing one of the rails. Cigarette, sits there for a while until be finally gets the idea, but he starts greasing the same rail behind A-#1! A-#1 stops, whistles to get his attention, and then nods to the other rail. Cigarette takes the hint and jumps over and starts greasing the other rail while A-#1, with a most memorable look on his face, nods to himself and goes back to greasing his rail. Recounting this tale is my roundabout way of explaining why I expect that soon there will be leaked emails that will justify the headline of this spoof. 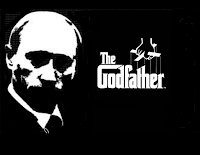 Sooner or later the Kremlin paymasters will realize that paying good money to Kremlin trolls to write pro-Putin trash for Counterpunch is like paying them to add more slim to a rail that is already being thoroughly greased to their advantage, then heads will roll. AMY GOODMAN: How different is what Trump did from what President Obama did? I didn’t say “said.” His rhetoric is very different. But even when he made this announcement, and then, with a flourish, showed this document he was signing to the cameras in front of him at the White House, people didn’t realize at the time he was signing the very waiver that Trump and—that Obama and Clinton had signed before a waiver that said they wouldn’t build the embassy in Jerusalem for at least another six months. RASHID KHALIDI: You’re absolutely right. The difference is the action. The difference is—the embassy is not going to be moved for a while. But declaring that the United States supports the Israeli position on Jerusalem is of enormous material importance. It means that the United States has taken a stand on the most important issue. Jerusalem relates to sovereignty. Jerusalem relates to settlements. Jerusalem relates obviously to the holy places. And Jerusalem relates to borders. Even if you say this doesn’t prejudge borders, the Israelis have a definition of Jerusalem. You’ve just recognized Jerusalem as the capital of Israel. The Israelis are going to take this and run with it. So, it is of enormous importance. Other presidents have said—in fact, going back to Clinton, presidents have said, “We want to move the embassy,” or “We will move the embassy,” but they haven’t done it, and they haven’t accepted the Israeli position, as President Trump has just done. So he is saying "you're absolutely right" if you think the difference between Trump and past US presidents "is of enormous material importance," which she doesn't. Her argument is there is no material difference, so don't worry about Trump. This is how Amy Goodman and Democracy Now fought the Trump white supremacist power grab when it still could have been beaten at the polls without bloodshed. 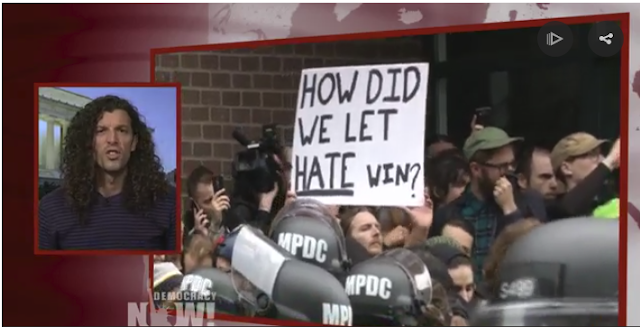 The next DN segment showed this sign "How did we let hate win?" among the J20 protesters at Trump's Inauguration. The hate that the sign is most likely referring to is the hatred of women and people of color that afflicts so many of Trump's followers. This was the right-wing racist and sexist hatred that Trump worked so hard to cultivate. But there was another hatred, a hatred on the Left that would prove to be indispensable to Trump's victory.That was the hatred felt by many white progressives for Trump's opponent, the Democratic presidential candidate, Hillary Clinton. 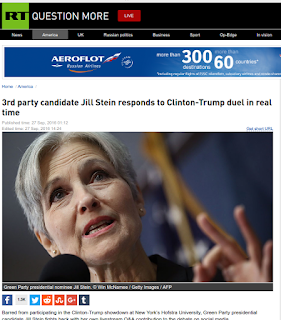 Many Jill Stein supporters hated Clinton more than they hated Trump, and wouldn't vote for Clinton even to keep a narcissist, mentally unstable dotard away from the nuclear button. That point has been well made, but that's not Left leadership, that's Left self-service. To advance their view that the voters should refuse to vote for the lesser of two evils, those same forces downplayed the virulent white supremacy that had made a home in the Trump camp, while they prattled on and on about "THE EMAILS!!!" 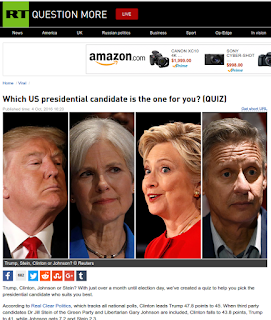 As a result, Clinton lost not only those who voted for Stein but also the large number of people convinced not to vote at all by the Left meme that there was no real difference between the two contenders, and Trump really wasn't that bad after all, plus at least he's not a warmonger, plus he has no chance of winning, so feel free to vote your conscience even if you don't buy the first arguments. 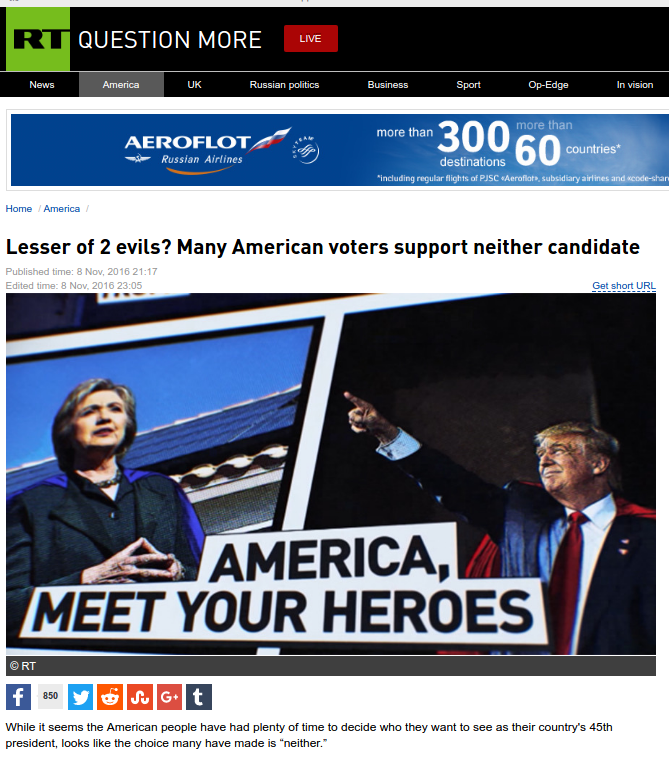 The "don't choose the lesser of two evils" logic is a false one. Working people regularly choose the lesser of two evils - when they are lucky enough to have a choice. Say an unemployed worker is looking at two job offers. Then she considers herself lucky. Both are offers to exploit her labor for a profit, so both are inherently evil. so what does the worker do? Does she refuse to choose between two evil jobs and go hungry? No, she doesn't have that privilege. Many progressives had the privilege of sitting out this election, either by not voting or voting for someone who couldn't possibly win, and allowing less progressive voters to decide who the next president is. I don't argue that they hadn't that right. 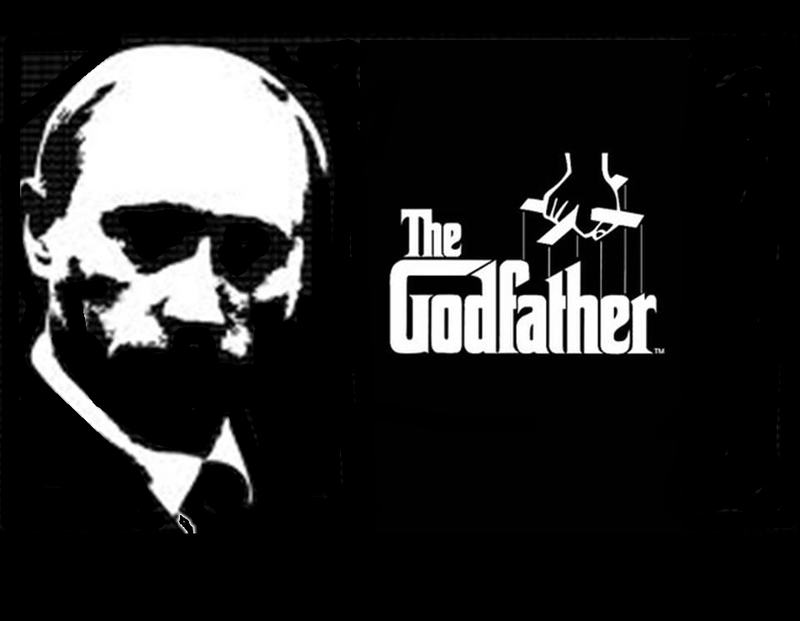 I just think it represented bad political judgement, and treacherous political leadership. I hope they will forgive the vast majority of African Americans for not following it. We didn't have the privilege of ignoring the fact that one of the two contenders for the most powerful position on Earth hates black people. The Donald Trump presidency, and all it brings to power, represents an existential threat to us. 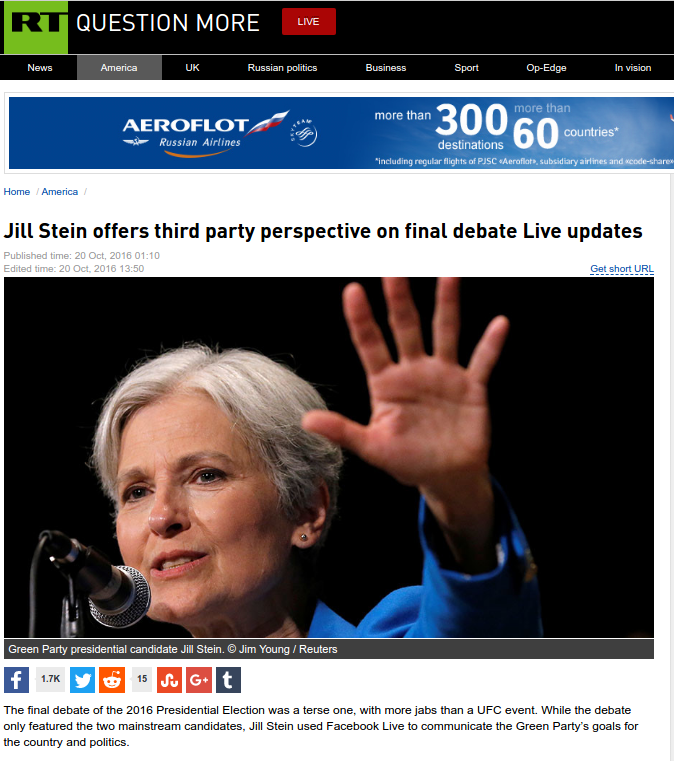 Beside, Jill Stein was far from the perfect candidate, and she was only capable of diverting enough progressive support to put Trump in the White House. The more exposure the got, the more votes she lost. Her poll numbers actually went down after she was on CNN! Electing what Greens consider the perfect politician won't fix a broken system. It will take a revolution to do that. Until then, strategic voting is the only kind of voting that makes sense. The idea that if we can just elect enough "good" candidates to the current system, everything will be hunky-dory is bankrupt. It will take a socialist revolution to set things right. Until then all voting in bourgois elections should be strategic. 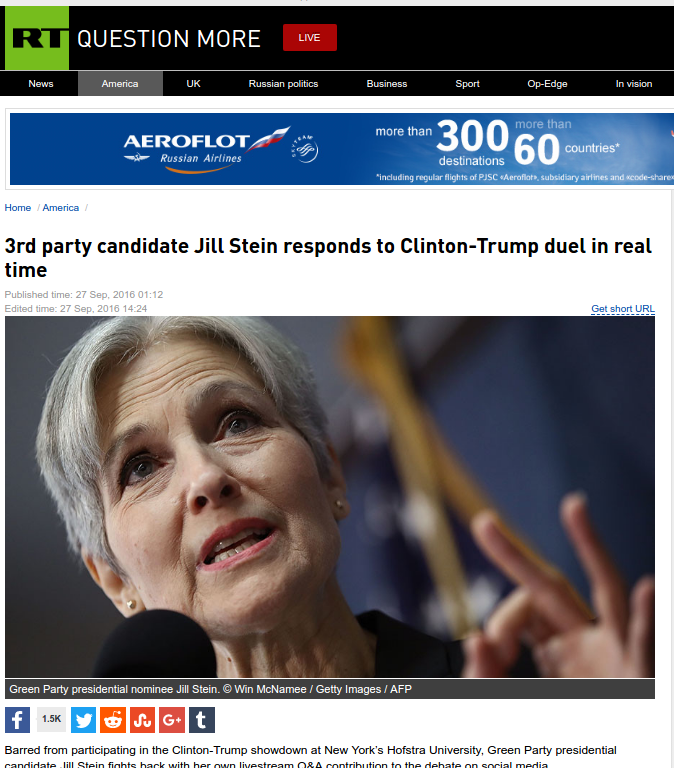 Many Greens will argue Trump didn't win because they voted for Stein instead of Clinton, he won because ____fill in the blank. The reason this is a false argument is because it's like arguing which straw broke the camel's back. If the camel's back would have held with even one less straw, then the answer is that every straw was necessary to break the camel's back. Trump lost the popular vote by millions and won the electoral college by less that 89K strategic votes. With a margin that thin, he couldn't afford to lose a single advantage and win. If Bernie had won the nomination, it would have been a different ball game. If Clinton had been a little better candidate, Trump would have lost. If the Democrats had run a more populist campaign, Trump would have lost. If Wikileaks hadn't released the Clinton emails, if Wikileaks had also released Trump emails. if Comey hadn't caused an 11th hour revitalization of the FBI Clinton probe, if Comey had also made public the FBI's Trump investigation, an so on. With Trump winning by margins thinner than the votes for Jill Stein in three states, it is clear that if you took away even one of the "straws" supporting Trump's victory, the world would be looking a bit brighter right now. Anyway you slice it, it comes down to the same thing, in the US presidential election of 2016, an election of world historic importance, the margin of victory by the Trump cabal was so thin that the US Left, as small and weak as it is, actually held the balance of power in its hands, and it threw its weight behind a fascist victory. If the battle cry of the Left had been "all out to defeat the racist Trump cabal" instead of "Jill not Hill", we would have had plenty of time to develop our critique of the Clintons, and I'll wager there would be a mite less suffering along the way, especially for people of color. They will suffer the most with an open white supremacist in charge. Too bad the Left didn't say more about that before the election. Trump would not be president today without the aid of the so-called Left. People will know that for a long time. It is a big set back. Attorney General Jeff Sessions is rescinding an Obama-era Justice Department letter that asked local courts across the country to be wary of slapping poor defendants with fines and fees to fill their jurisdictions’ coffers, part of a broad rollback of guidance that Sessions believes overreached. So now we'll see how this "refuse to vote for the lesser of two evils" thing works out for us in 2018. Time for us to get busy. Got to clean house first though. A search on YouTube for "rt america jill stein" turns up "About 5,570 results," 2,750 in the past year, and RT/America averages more than 5,700,000 views a month on YouTube alone! 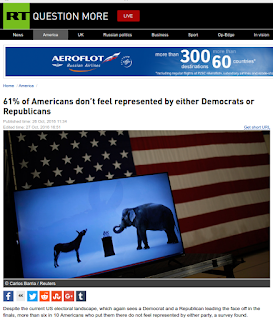 RT/America is just 1 of the 88 members of RussiaToday [note the parent YouTube organization has not changed its name], which in total get an average of more than 133 million monthly views on YouTube. 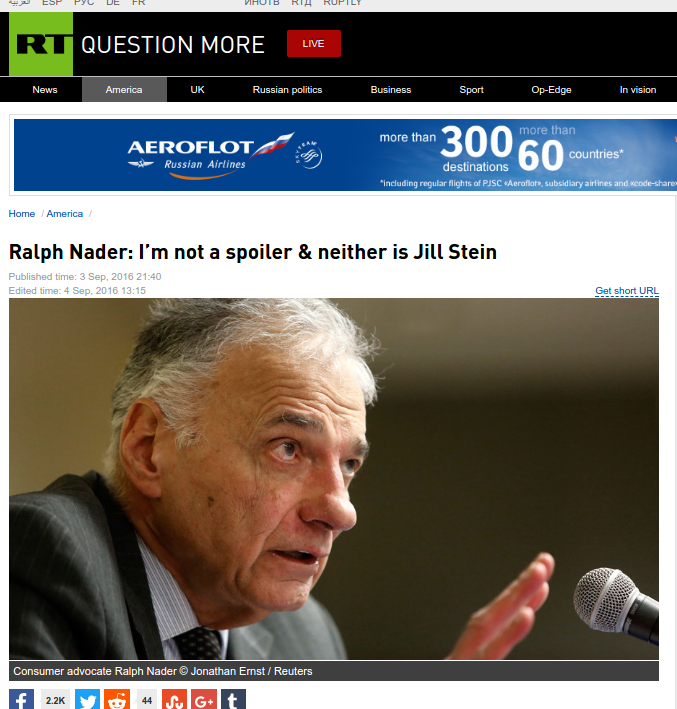 RT is another member of this family with mostly English content, and favorable to Jill Stein, that has an average monthly viewership of more than 28 million, Ruptly TV is a third Jill Stein fan brand with more than 14 million monthly viewers. These are all professionally produced videos, and they aren't cheap to produce, so even though YouTube pays Russia Today as much as $274,000 a year for those views on RT/America alone, sustaining the channel has to be costing the Kremlin millions, but since RT has an annual budget of over $300 million, it is still small potatoes to them. 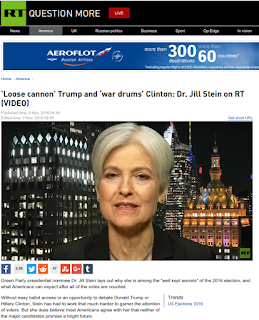 There have been over 190,000 views in the top 10 of those 2,750 RT/America videos supporting Jill Stein's candidacy. The view totals for all those videos is likely to range into the tens of millions. 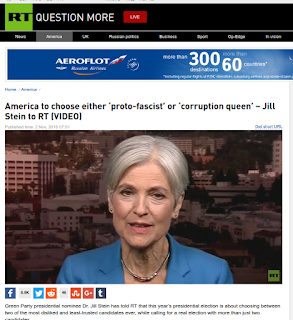 Taking just this one example of RT videos for Jill Stein and extrapolating that across all RT platforms, which in the US include cable, satellite, and broadcast TV, radio and all social media, not just YouTube, but facebook, Instagram, and Twitter as well, it's easy to conclude that since the Jill Stein campaign only raised $3,713,170, Putin probably spent more on the Jill Stein campaign than the campaign spent on itself. If this is true, it means that votes for a US presidential candidate supported largely by Russian resources put Donald Trump in the White House. "We look to RT for access to the American public." Meanwhile, The New York Times is reporting that a high-ranking member of Trump’s transition team falsely told lawmakers that she was unaware of contacts between Michael Flynn and Russia’s ambassador. The Times cited newly discovered emails that show the adviser, K. T. McFarland, discussed a December 29 phone call between Flynn and Ambassador Sergey Kislyak that was intercepted by U.S. intelligence. The sanctions could also make it much harder for Mr. Trump to ease tensions with Russia, “which has just thrown the U.S.A. election to him,” she wrote in the emails obtained by The Times. 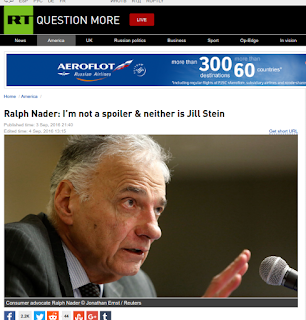 I suspect that is was no accident that this very frank admission that Russia threw the election to Donald Trump didn't make the cut when it came to composing the headline news for last Tuesday; Democracy Now played a major supporting role in Russia's efforts to throw the election to Donald Trump and the white supremacists that Russian President Vladimir Putin wants to see in power in the United States. Amy Goodman and Democracy Now backed Dr. Jill Stein and the Green Party in the 2016 presidential contest. She was a guest on the show many times before the election, not so much since. 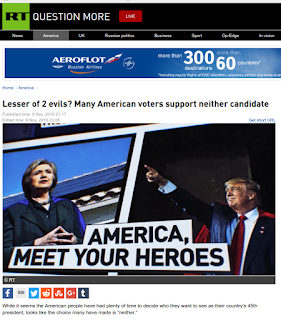 DN strongly promoted the "Refuse to Vote for the Lesser of Two Evils" attitude among progressives that resulted in the greater of the two evils installing his white supremacist cabal in the White House. DN also focused almost all its fire on the Clinton campaign and rarely report on the Trump campaign's white supremacist ties. 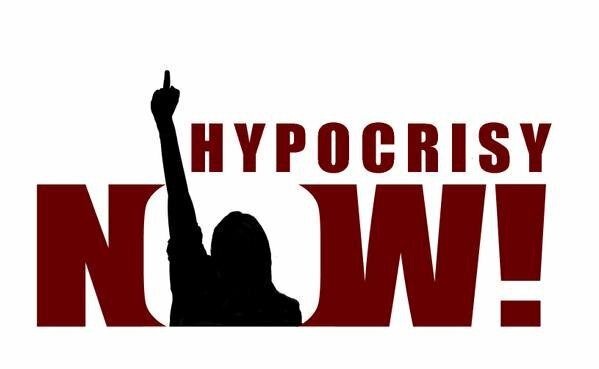 Did @DemocracyNow help elect President Trump? 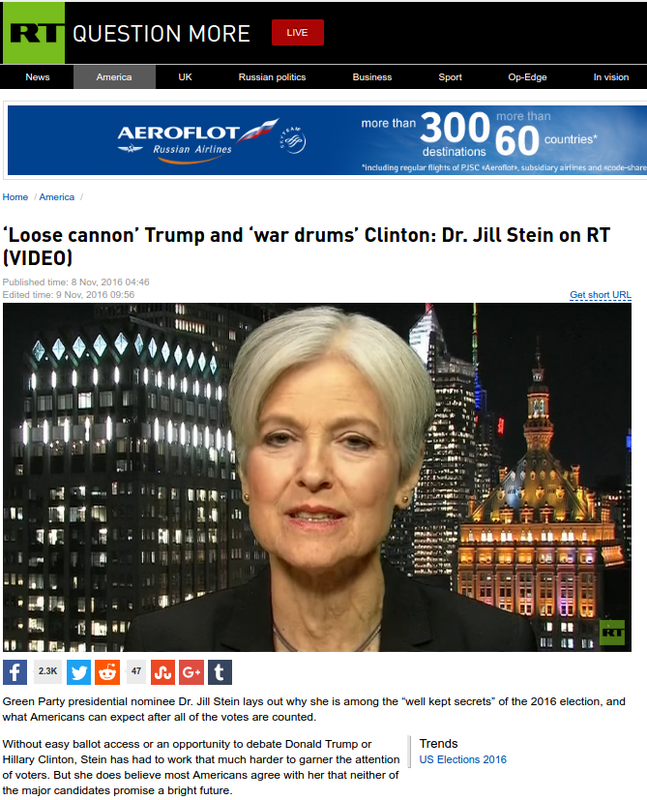 Did the Green Party's @DrJillStein help Trump win? I recently heard an Asian martial arts trainer explain the importance of striking the first blow, in fact, the absolute necessity of striking the first blow if one is to have any hope of persevering against an attacker that, by all appearances, is stronger than you. He said that should a bully approach you on the street, with the clear intent of doing you harm, the bully will not expect you to strike the first blow in the back and forth preceding the attack, but that is precisely when you must act, landing your most powerful blow before he has a chance to hurt you, and while he isn't expecting it. This struck me as sound advice from The Art of War. Many Westerners would be uncomfortable with this advice because it involves prejudging the intentions of the other guy in the negative. We have been taught that it is wrong to strike the first blow, although that clearly is a winning strategy, so everyone may not share our cultural bias against it. It should also be added that this sound military advice has little to do with on which side justice stands, or even if justice has a dog in the fight at all. a participant to the ruthless slaughter of noncombatants in Ireland on the ground that "terrour...made short Warrs," launched a program of deliberate military provocation and savage harassment. [ around Jamestown, Virginia] His campaign to reduce the natives to the status of subject people and drive them off the most valuable lands was part of what has been called England's "First Anglo-Powhatan War (August 1609 to April 1614)." 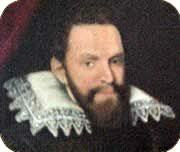 That series of bloody clashes, Frederick Fausz, the war's most careful analyst, writes "translated England's ad terrorem tactics from the Irish wars of the late sixteenth century-specifically the use of deception, ambush, and surprise, the random slaughter of both sexes and all ages; the calculated murder of innocent captives, and the destruction of entire villages...."
These infamous tactics and worst were considered acceptable when the West was on the make. This is probably the line of reasoning the Imperial Japanese took 76 years ago on December 7, 1941 when they bombed the United States naval fleet at Pearl Harbor. They had been aggressively building "their" empire in Asia for a decade, and friction had been growing with the US. Japan was under heavy sanctions from the US, and faced having it sources of oil and raw materials cut off. WWII was already on and the war clouds between the US and Japan were growing darker every day. Everyone knew war could break out any day, so the Japanese, being the weaker party, and following the philosophy of that martial arts trainer, struck first. They thought their slim chance for victory rested upon knocking out the US Pacific fleet at Pearl Harbor and forcing the US to sue for peace to avoid an attack on the mainland, but Slim had left the harbor and taken the American aircraft carriers with him. As they say, the rest is history. It didn't work out that well for the Japanese, at least in terms of the five year plan. Our moral prohibition against striking first would seem to have been vindicated, although they never had any real chance of prevailing in a sustained conflict with the United States then. It was a costly miscalculation on all sides, and it matters not to those who lost sons and daughters on the anti-fascist side that the Japanese lost more. I think it could be very important to draw some lessons from the Pearl Harbor attack as Donald Trump heats up the atmosphere between the United States and another Asian adversary. In comparison to Japan at the height of its empire, North Korea is much weaker, but it has what Japan was on the receiving end of at the conclusion of that war. After having lost more than three million of it citizens in its last war with the United States, the North Korean government has expended tremendous effort and expense to create what it thinks it needs to deter that from happening again. This apparently is the ability to strike the United States mainland with a nuclear tipped missile. By most accounts they are there already. Earlier this year they apparently successfully tested a thermonuclear device, and more recently their test of a missile that could carry such a warhead to any part of the US was successful. It is said that they haven't a proven warhead reentry capability as of yet. Even if this is true, it is cold comfort, given that that is the easiest part of the puzzle to solve, and even without it they could detonate over America for the EMP effect and atmospheric destruction. So while President Trump threatens the complete destruction of this country of 25 million and calls its leader names, as he talks in more and more bellicose terms and sends US warplanes and warships ever closer to North Korea; we would do well to consider the real possibility that Trump will convince the North Koreans that they really do face imminent destruction, and therefore their best option is to land the first blow and use the few nukes they have while they still have them. Dotard Trump may think it's all fun and games on twitter, but he is playing with the end of the world.